Reliability is an essential skill for all great truck drivers. If you can’t be counted on, you don’t belong in trucking. We have tight schedules and need to ensure our drivers will do what they say. Our customers depend on timely performance. As a great trucker, you should seek to become a solution to transport challenges, rather than a problem. When you work a truck driving job, you will spend plenty of time on your own. While you always have a team to help, you need to be able to operate independently and make smart decisions in the instance of an emergency. In addition, the best truck drivers keep their skills up-to-date, so they can deal with minor mechanical failures, traffic types and other on-the-road scenarios. While on the job, you will be dealing with employees, other drivers, customers and more. You should be able to comfortably interact with people in a pleasant manner and provide the service needed. A good truck driver will be courteous to clients and treat cargo with the utmost care. Understanding basic mechanical skills of how your truck operates will go far, ensuring you can make the necessary performance repairs to keep with safety compliance. This will help protect your safety and the safety of those around you. This should go without saying, but it’s worth mentioning, to become a truck driver, you must be able to pilot a truck. This means having a commercial driver’s licence (CDL) as well a clean driving record. If you really want to go above and beyond, you need to keep up with recent developments in the field. When you are skilled at your trucking job, you will be less stressed and feel satisfied in your position. These are the essential skills to have to become a truck driver. If you possess these qualities, truck driving may be the career for you. Ready to talk with a recruiter? 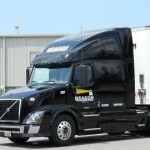 Call Beacon Transport today at 877-277-0238 x 231. We would be happy to speak with you about becoming a driver.